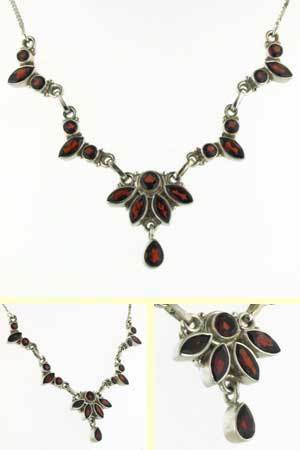 Garnet necklace set in sterling silver. 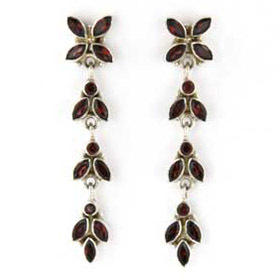 Wonderfully rich and glowing with warm deep red garnets, this glamorous necklace will always turn heads. 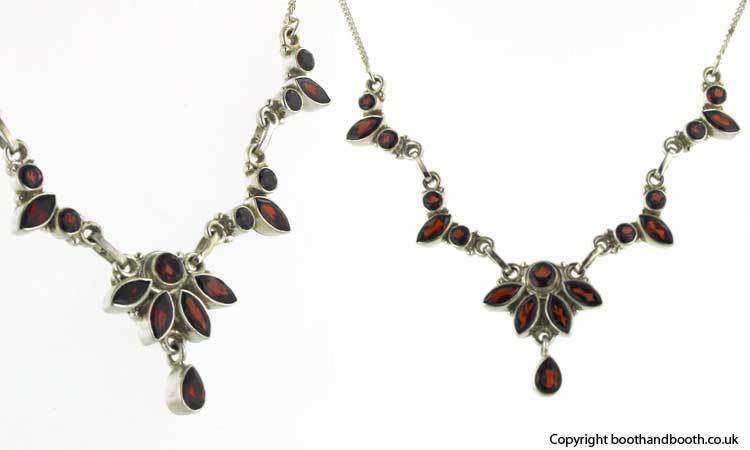 Beautifully designed with marquise and round garnets, the necklace shape looks excellent around your neck. 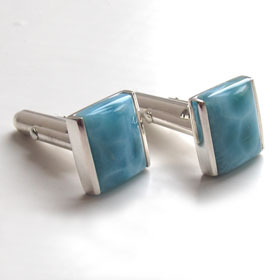 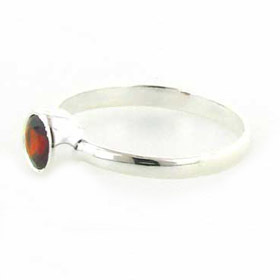 The central pear droplet is a perfect finishing touch. 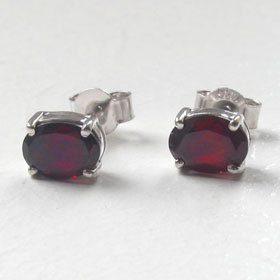 These are rhodolite garnets which are set in sterling silver. 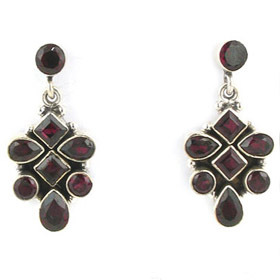 Explore our garnet earrings to make a garnet jewellery set.